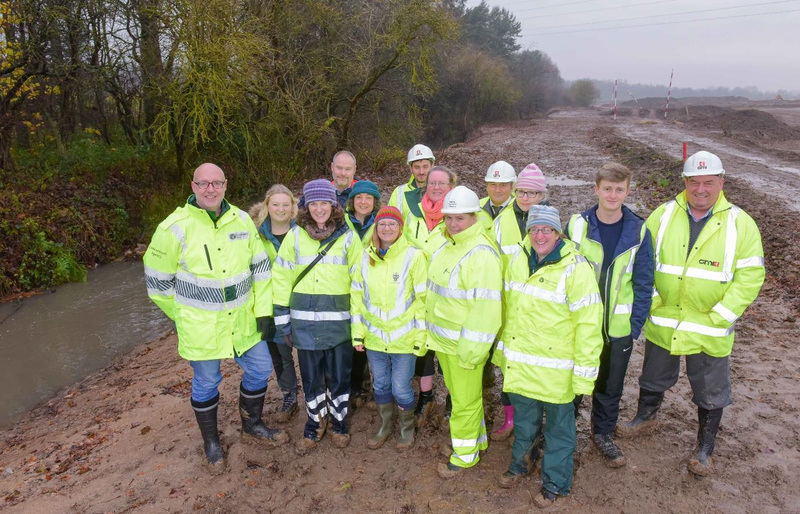 Developers Highgrove Group working in collaboration with the Environment Agency have today announced the culmination of a series of works to restore the route of the River Don which runs through its prominent Follingsby Max development situated in Gateshead. The works – which were undertaken by contractors GMI Construction, included the naturalisation of over a kilometre of river using specialist restoration techniques together with a variety of environmental improvements. The River Don is a 15.4 kilometres (9.6 mi) long tributary of the River Tyne in Tyne and Wear, North East England. It rises near Springwell and flows east for about 6 km, then turns north. It meets the River Tyne at Jarrow. For much of its length in the upper section, it is the boundary between Gateshead and Sunderland. “This is a great example of partnership working to achieve more for our environment and looking at ways the private sector can contribute to our local ambition, supporting the Government’s 25-year plan for the Environment’’. “We are very happy to be working in close partnership with the EA to facilitate these works to restore this important river and natural habit running through the development. We are committed to helping to preserve and protect the natural environment throughout the Follinsgby Max development for the benefit of the communities that surround us. Highgrove are committed to building a legacy to be proud of and creating developments which are harmonious within the environments in which they sit.